How do economies grow? What is the scientific basis for understanding wealth? A lot of people talk about the need for economic growth. It is routinely presented as the “silver bullet” to fix all big problems in the world. Want to end world hunger? Economic growth. Rid the world of mass poverty? Economic growth. Tackle global warming and protect the environment? Economic growth. This knee-jerk response is so engrained in policy circles that it is the only offering put forth by the United Nations Sustainable Development Goals. After several years of discussion and debate, the best they can do is say we’ll solve the wicked problems of the 21st Century with “inclusive economic growth”. The mantra of economic growth is repeated so often that otherwise highly intelligent and well educated people all over the world treat it as if it were a law of nature. But hidden beneath the veneer of confidence lurks an embarrassing secret — almost no one knows what causes economic growth! It has become a belief not to be questioned, one of the great dogmas of our time. Simply ask any corporate CEO, head of state, or representative from the United Nations where wealth comes from and they will not be able to give you a straight answer. One might ask why there isn’t a better physics-like answer to the question of economic growth from members of the economics profession? The short answer is that a religious dogma has control over the official storyline of economics. Those economists who approach their work like real scientists (yes, they exist!) are not the ones who guide economic policy most of the time. Instead it is morally-driven ideologues that espouse the worldview of Neoliberalism who routinely call the shots. And their story of wealth creation is like a bucket with holes in it. Inspect it, even briefly, and you’ll see it doesn’t hold water. Once upon a time, the world was full of unused resources. Clever business people came along and found ways to add value to these resources by extracting them for use in industrial processes. Thanks to the invisible hand of unfettered markets (keep governments small enough to drown in a bathtub and only allow regulations that support the hoarding of wealth by holders of financial capital), this “value add” creates wealth in the form of rising GDP and the creation of jobs. All you have to do is let the wealth “trickle down” from the super rich as they pile up increasingly huge masses of money. This story will be familiar to all of us. We’ve heard it repeated so many times by elected officials and talking heads in the media that it has the look and feel of truth, what Stephen Colbert would describe as “truthiness”. But note how this story DOESN’T ACTUALLY SAY how wealth is created. All it does is describe how money gets stockpiled by the rich — those who have money invest it in ways that make them even more money. It’s a circular logic without a foundation. Or, to use the metaphor again, a leaky bucket that seems to hold water until we try to put something in it and voila! We get a soggy, dripping mess on the floor. If the standard narrative doesn’t tell us where wealth really comes from, where do we need to look for a properly scientific answer? We have to look at two things: (1) The actual physics of economic systems; and (2) how poverty creation works. Pick up any introductory physics text book and you’ll find the most basic thing every physical scientist knows, that energy and mass are never created or destroyed. Energy and matter constantly dance back and forth in the spacetime continuum that makes up all the material stuff in the Universe. Economic systems cannot “create” wealth in any way that violates the laws of physics. It can only take mass and energy and change how they are arranged in space and time — the quintessential definition of information — by building up systems of production through cooperative human activities. As obvious as this is to point out, the story of wealth creation offered by Neoliberalism fails to acknowledge the fact that value-laden material was already “information rich” thanks to four and a half billion years of planetary and (and 3.8 billion years of biological) evolution on Earth. The physics of economic systems requires that we acknowledge a basic truth; that wealth arises from the natural world. It is part of nature. And yet, as the Neoliberal Story described above starts out, there is a presumed separation of markets from the natural environment. Their story of wealth creation pretends that nature had no value before it was monetized by industrial activities. And this is why they don’t have a firm footing to stand on about the the origins of wealth — to presume that wealth “appears” when business activities are performed is to miss out on the real action taking place in the previously-existing ecosystems of information that came into being through physical and biological evolution. Said in more concrete terms, the reason we place a big fat zero in the number column of our spreadsheets for the price of nature is because it is presumed to be without value. It doesn’t make the accounting books because the religious dogma of Neoliberalism rejects this physical truth as one of its core beliefs. At this point in the discussion, we can see that wealth was already there in the form of natural environments that made life possible for humans to behave as economic beings. This becomes evident when we look at the flip side of wealth creation in modern economies, where poverty creation makes possible the hoarding of wealth in Capitalist systems. Poverty is created when the political expression of an economic system (for production and allocation of material information) takes sources of wealth away from some people and transfers it into the hands of other people, often changing forms (like the conversion of mass to energy) along the way. A concrete example is the Enclosure Movement of 17th Century Britain. 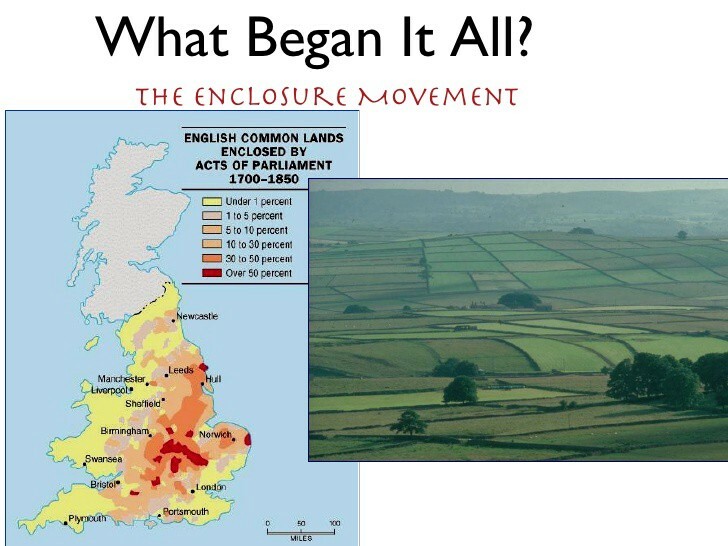 English Common Lands were forcibly privatized due to Acts passed by the British Parliament. It was a time when peasant farmers were forcibly removed from their land, where they had engaged in subsistence farming for generations. Wealthy merchants and aristocrats began a systematic campaign to privatize the land-based commons and kick the peasants off their land, which they turned into sheep runs for the highly profitable wool industry. This became known as the “enclosure” movement, and historians regard it as the birth of capitalism as we know it today. Millions of people were forcibly displaced, creating a monumental humanitarian crisis. For the first time in English history, the word “poverty” came into common use to describe the masses of people who literally had no way of surviving. They poured into cities like London and scratched out a living in sprawling slums — fodder for Dickens’s bleakest novels. In this example, we can see how the aristocracy “created wealth” by transferring shared ownership of land into the new form of privately held landholder deeds. Peasants were separated from the means to grow their own food and became wage laborers who worked the land to pay rent — with the corrollary movement of money from merchants to landowners as they amassed ever larger amounts of financial wealth. The same process can be seen in other places where mass poverty “appeared” during the Industrial Age — through colonial conquest by the British Empire in India; slavery followed by resource grabs across the African continent; and CIA-backed military dictators in Latin American countries that instituted “business friendly” practices for foreign investors. We have our current distribution of wealth around the world thanks to a long history of colonialism by Western empires followed by economic imperialism in the post-colonial patterns of economic development that followed. The West is rich because they took resources from other parts of the world. And the top earners in all nations accumulated their fortunes by extracting it from the productive labor of workers within their own countries (and by forcing “free trade” agreements that used market competition to suppress wages on increasingly global labor markets). No story of wealth creation is complete without a corresponding story of poverty creation. This has an analogue in the physical sciences — what is known as entropy (the measure of disorder in the spatial or temporal arrangement of energy). Now that we know how to translate the findings of physics into a description based on information, it should not surprise us to find that the distribution of wealth is a kind of information in its own right. Where there is order in an economic system, there must correspondingly be a measure of disorder somewhere else in the system… as physicists would say, every thermodynamic process there is an increase in entropy. Even in ideal circumstances it can only stay the same. Entropy never goes down. Now we are in a position to tell the real story of wealth creation. We know that wealth is physical, subject to the laws of nature, and rises or falls depending on how it is arranged in space and time. This tells us that wealth is a kind of information inherent in social systems. 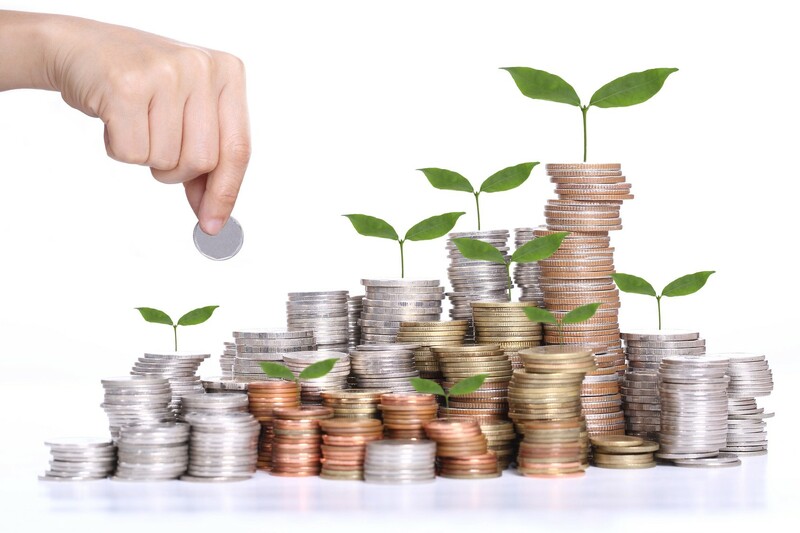 Wealth is a productive capacity of any natural ecosystem that rises or falls based on the spatial and temporal arrangement of matter and energy. Thus it is a kind of “information complexity” that can be measured using a suitable set of tools. It is subject to physical laws — in particular, the Law of Conservation for Mass/Energy and the Second Law of Thermodynamics about the nature of entropy. Wealth created by transferring productive capacity from one group of people will correspondingly create poverty for any other group of people that become deprived of the productive capacity by the process. Any kind of economic growth in the real world will be subject to these constraints. 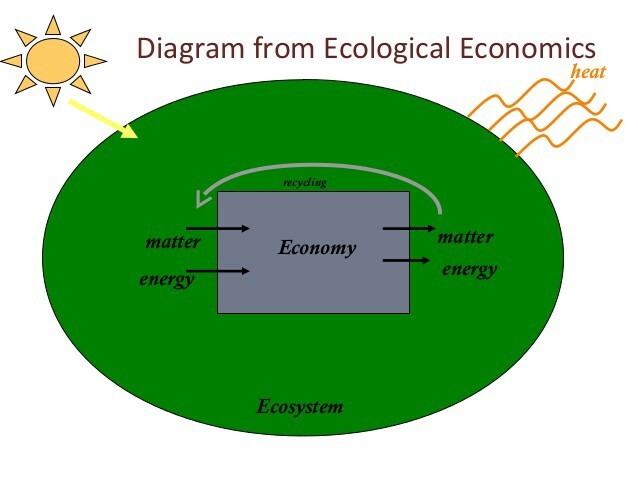 It is vital that we understand the physical nature of wealth so we can envision and build economic systems that are capable of (1) reducing chronic inequality in the world; (2) recognizing the inherent value of nature as a foundational building block for any economic system; and (3) exploring the ‘design space’ of all possible economic systems to find those best suited for planetary sustainability. Economic growth is a process of changing the information content of human systems — which are necessarily constrained by the laws of nature. Wealth creation is ontologically bound to poverty creation as an expression of the physical concept for entropy in social systems. Any economic system that increases the hoarding of wealth for some will correspondingly keep others from accessing wealth. Economic development is fundamentally a process of evolving the social complexity of information. Some configurations of knowledge, skills, and built structures will lead to economic thriving. Others will lead to economic dysfunction. Ideology has trumped science for too long in economic policy. It is time to restore the credibility of scientific guidance and dispel the dogmas that continue to plague economics. I hope this essay brings additional clarity to discussions you might partake in about the future of economic development. We will not get to planetary thriving with unquestioned, dogmatic, and unscientific beliefs about economic growth. Now is the time to fully explore the science of credible economic thinking and apply the best of this knowledge to the great challenges confronting humanity. Joe Brewer is culture designer working to help humanity make the transition to sustainability. He is research director at TheRules.org and cofounder of Evonomics Magazine, where these topics are routinely explored and put to good use. Want to support my work? Appreciate my writings? Make a contribution here.